Spring is in the air, and after hibernating all winter, so is a little dirt and grime! If you are looking to sell your house this Spring, or just want to head into warner weather with a fresh start, here are some great Spring cleaning tips. This means the inside and out! The combination of salt and soda water is perfect for giving your fridge a good scrub on the inside. Wipe down and dry the outside so that it shines like new! Take a scrap piece of and use it as a brush to go over your window screens. It is the perfect way to get ride of dirt and not damage the screens in the process. Then wash the inside and outside of the glass, drying with a separate rag to reduce cloudiness so you are left with a smudge and dirt free window! Take your feather duster, Swiffer, or rag to the blades of your ceiling fans and finish it up with some furniture polish. The last thing you want is to have someone turn the fan on and dust rain down on them! If you have granite countertops, the first step to keeping your surfaces looking clean and stain-free is having it properly sealed. From there, just a simple wipe-down should do! If you have laminate, use a rag or a soft toothbrush and scrub with dish soap and water. 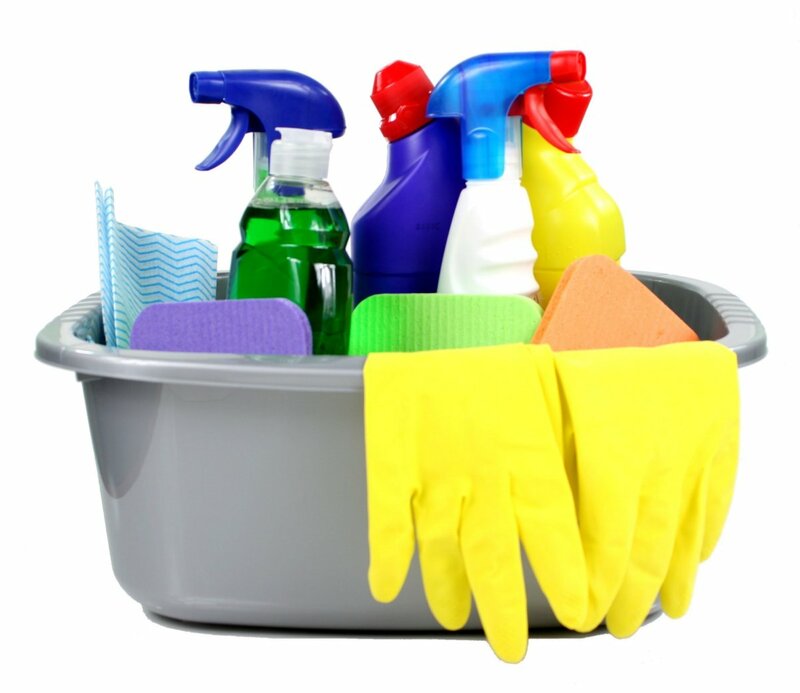 Want more Spring cleaning tips to help get your house market ready? Contact us!